In my last related blog on bike lanes, I touted the advantages of two wheeling: bicycles use fewer resources than other wheeled transportation, reduce congestion and take less parking space. All good. 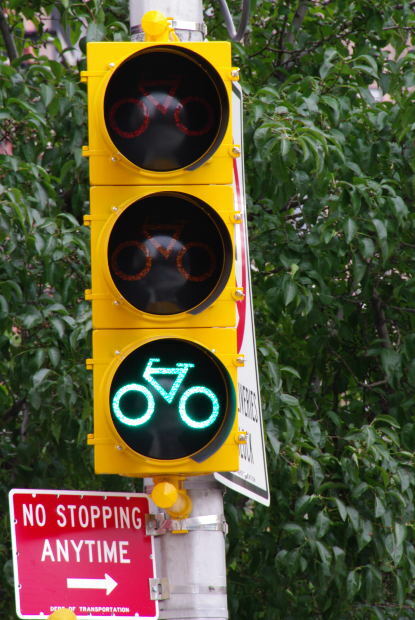 But most cities are finding that to really “move the needle” on bike usage, more must be done. Bikes need to feel safe, which requires an infrastructure of physically protected and separate/dedicated bike lanes, especially on our busiest streets. The routes a cyclist takes to work, school and play are part of the infrastructure equation. A University of BC “Cycling in Cities” research program included 690 cyclists injured in Toronto or Vancouver and treated at a hospital emergency department. Researchers compared the route characteristics at injury sites to randomly selected control sites. This “BICE Study” (bicyclists’ injuries and the cycling environment) found the following features as safest: cycle tracks (also known as separated bike lanes); residential street bike routes with traffic diversion; bike lanes on major streets with no parked cars; off-street bike paths; and vehicle speeds below 30 km/h at intersections. Route features that increased risk included streetcar tracks, downhill grades, construction, shared car/bike lanes, traffic circles, and arriving at intersections opposite to traffic. To create a safe cycling environment, studies of this nature are useful for urban planning in every city. Infrastructure is only one factor – albeit it a major necessity – to support biking as a convenient alternative. Parking and storage is another. In Holland, many cities have indoor bike parking below ground, complete with parking attendants. “Secure bike parking makes biking more accessible for professionals and even people over 30. 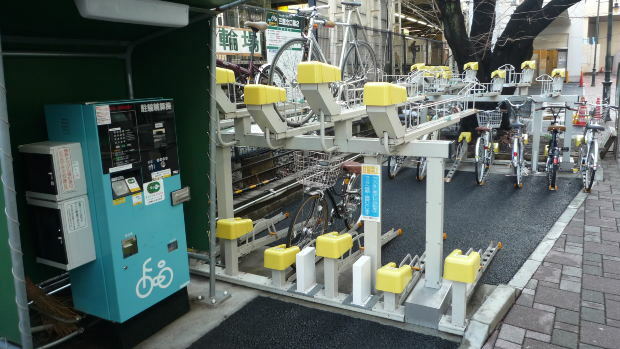 In places like The Hague, officials are retrofitting older parking garages to meet demand – one car space can fit up to 10 bicycles,” writes the author. Consider seatbelts and airbags in cars; consider wheelchair-accessibility in both parking lots and building design. A young person today has been raised with these features and naturally accepts them. The same mindset on bicycle and auto safety can be reared by instructing children from a young age. A whopping 95 percent of Dutch students age 10-12 ride their bikes to school. To encourage safety, students earn a certificate from the city for passing a bicycle safety test at age 11. Programs like this ensure that students are comfortable on a bike and well-versed on safety. While Holland is known for its bike-friendly cities, its bicycle boulevards and safe routes, careful government planning can and should be exported. If you work in urban planning and live in western Canada or the Pacific NW of the United States, consider a short course offered this April at University of British Columbia (UBC). Bicycling by Design: facilities to promote safe and healthy travel looks at the best street designs for biking on busy streets and on quiet streets. From cycle tracks to off-street bike paths, the course will examine design features and public engagement initiatives that create the biggest up-tick in bicycle ridership. What’s new in your city? Why do some residents support the allocation of tax dollars towards better bike infrastructure and others oppose? Let us know your experiences – we welcome your comments and guest posts.